You can now watch Metro Manila Film Fest 2015 New Wave Category online via HOOQ! My friend once told me that whenever we watch Filipino movies, we are doing our part in helping the farmers (?). True or not, I enjoy watching local movies. But not as much as I wanted to. It has been my mom and I's bonding activity. with the Metro Manila Film Festival (MMFF) to screen a selection of the official entries on the app. HOOQ is the exclusive presenter for the 41st Metro Manila Film Festival and its New Wave Category, a partnership geared towards promoting quality Philippine entertainment. For the first time in the 41-year history of the film fest, the entries under the New Wave category will be simultaneously available in theaters and online, exclusively through HOOQ. 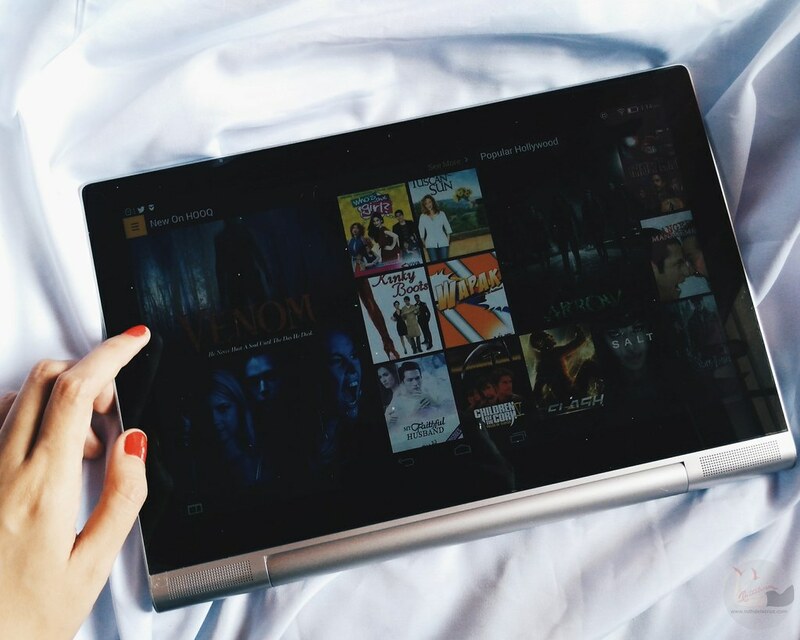 Since the films will be on the HOOQ app, you can now watch them wherever you are, anytime you want. HOOQ will change the way we view the MMFF entries as the New Wave Category can be seen in theaters and online via HOOQ. A first after 41 years of film fest history. Buttons was created by Marvel Obemio, Francis Ramirez & Jared Garcia of De La Salle College of St. Benilde. 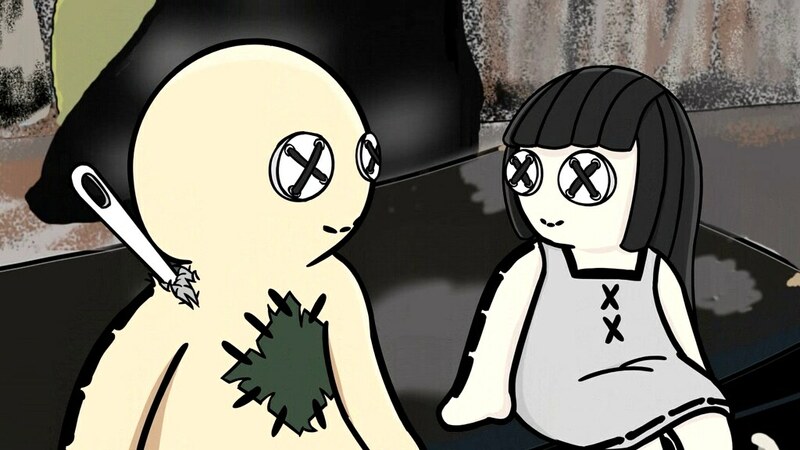 It is a story about 2 voodoo dolls living in a world where others seem to not notice their existence until one day, a mysterious voodoo doll shows up. The taboo nature of voodoo one of the pulls that attracted the creators to animating this story. Geo was written and directed by John Aurthur Mercader of Puppeteer Animation Studio has previously won the grand prize for Animahenasyon, the biggest animation film festival in the country. His team also won best in technical quality, Best Animation in Category B (6-30 mins. ), and the Hero TV Choice Award in Animahenasyon. The short is about young Geo with a wild imagination, whose mother must always come to his rescue whenever he takes it a step too far. Little Lights by was written and directed by Rivelle Mallari, the only finalist submission that claims no affiliation to a school or studio. It is a touching story about a physically weak yet strong-willed firefly named Charlie who struggles with his fear of darkness and finding his lace within the firefly community. Alamat ng Giraffe, directed by Alyssandra Kyle Mallari and written by Karl Marlo Gonzales and Mel Jeffrey Jabido of De La Salle College of St. Benilde, tells a made-up legend on how the giraffe came to be. Each film is under 10 minutes and will be screened from December 17 to 24 at Glorietta 4, Robinsons Movie World Ermita and SM Megamall. All ten entries will be available on HOOQ from December 18. In addition to the New Wave shorts and animated films for this year, HOOQ has close to a hundred MMFF past winners and finalists among its huge collection of local TV shows and films, made available for streaming and download on multiple devices. 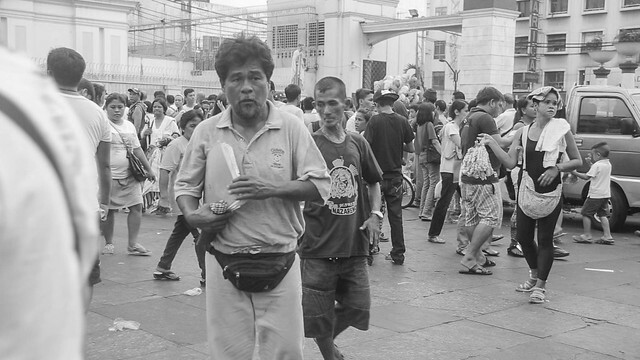 Also part of the New Wave Category of MMFF2015 are Short Film Entries which are mostly by indie film makers. Momento features an ageing couple, Teresita and Ronaldo, as they celebrate their 50th wedding anniversary--despite Teresita having made a terrible discovery earlier in the film that “marks the darkest hour of their relationship.” Written and directed by Jan-Kyle Nieva of the UP Film Institute, Nieva states that he enjoys disturbing films and made this film to challenge himself into delving into a genre that he has not previously explored. I guess I am all covered this holiday season with HOOQ and indie films waiting for me online. If you are a new HOOQ user, you can enjoy a 30-day trial by signing up at www.HOOQ.tv. Monthly subscription is available at only Php 149 and can be charged on your Globe mobile bill or via credit card, or it comes free with Globe Home Broadband plans P1,299 and up.